These days I love Wednesdays. Peanut and I go to her swimming lessons in the morning. She didn’t like it much when we first started a few months ago…quite a few times she was sobbing from it all (and occasionally so was I), as it was such a different environment, and it was loud (which she doesn’t really like). Now though, oh wow…a different girl who was BEAMING as she jumped in the water and practised her kicking. Still have some work to do on blowing bubbles in the water instead of drinking it…but so much progress in 3 months. I am so proud of her. It has been almost two years since I made a piece of clothing….I have a number of projects almost complete…but this one is the first that has been completed in an age! I always seem to be much better at completion of projects when the finished product is for someone else other than me! It’s also a lot easier to finish something when it’s only an itty bitty Size 1. This little dress was a birthday present for one of my good friend’s daughter’s first birthday. Baby A is a third child, but the first girl so I just had to make her a little dress. With the weather starting to warm up her in Australia, a little summer dress was needed! 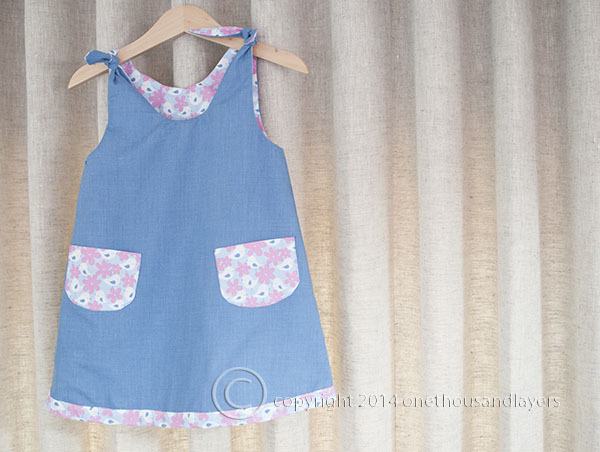 I had bought this pattern for a simple, reversible A-line dress earlier in the year (of course with the plan to make a dress for my little girl). This was the perfect excuse to try it out. 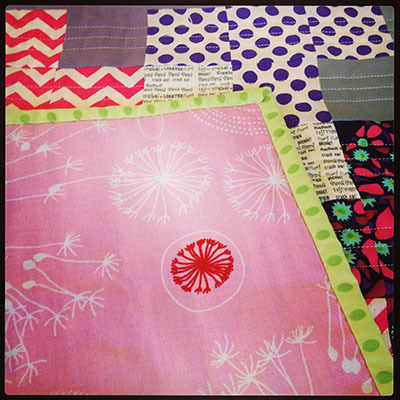 I was also determined to use fabric from my stash…so I was pleasantly surprised to find two fabrics that complemented each other quite well. The pattern itself is very easy to follow, and it’s so quick to make up. I made this up over a few days during my little one’s daytime naps…so all up it probably only took around 6 hours. I did leave off the applique design on one side of the dress though. I thought the birdy fabric just needed to shine on it’s own. I love the shoulder ties on this dress. It means the dress will be easy to adjust for a reasonable fit even if the dress is a little big at the moment (baby A is such a petite little thing). It’s also a great trans-seasonal dress. I can easily see this being worn over a long sleeve top/onesie with tights on cooler days. I tried to keep the fabric choices appropriate for this as well. 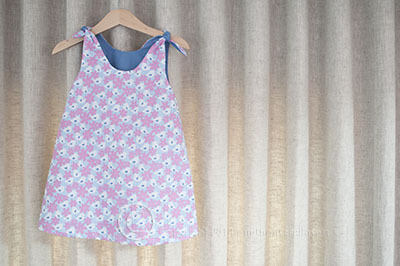 I love this little dress, and I have actually picked out fabric from my stash to make my little girl a dress in this pattern as well. So watch this space for an update on that. I thought I was all caught up with all my posts about completed projects, but I remembered another little project I have completed in the past 12 months! This was a lovely quick little number that I made for a Kris Kringle/Secret Santa gift in December last year. 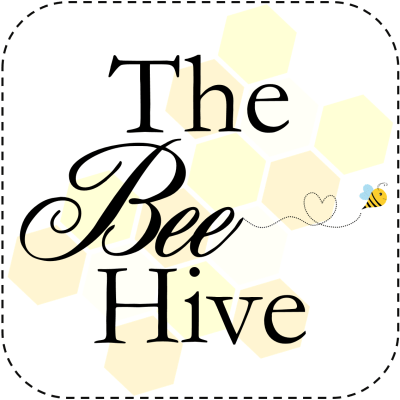 If you have read my other posts you may recall this one where I talk about a crocheting Facebook group that I am a member of. It’s such a lovely group to be a part of with lots of very talented ladies (I don’t think we have ANY men in the group…not sure what that says) who are very supportive of each other. So it was decided we could do a secret gift swap amongst those willing to participate. The idea was that it could be a good way to get to know another member a little bit better, and surprise them with something that they might like. The gift did not have to be crocheted, it could be anything we wanted….bought/handmade…anything. I had recently bought this book so I thought the idea of a pillow case for my swap partner would be a nice idea, and a little bit different. I knew my partner was an avid crocheter and crafter, but she wasn’t a sewer so I figured I would use my sewing/quilty skills to produce something that would be OK. I also knew her favourite colours were purple and green…and that’s about it. I decided on the ‘A Bunch of Crosses’ pattern by Katy Jones of I’m a Ginger Monkey fame. 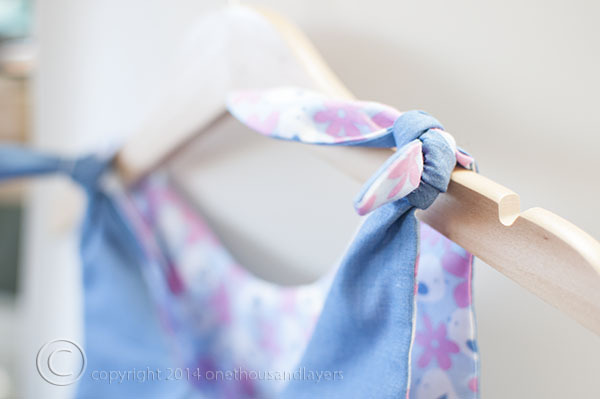 I love the pattern for its simplicity and the possibility to have fun with fabrics. 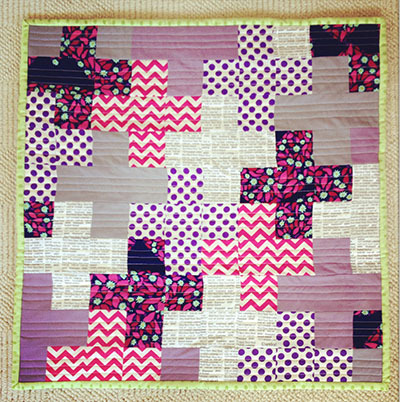 I also knew I could cope with the simple straight line quilting it would need. So of course first up it was about getting together some fabrics that I thought my partner would like. 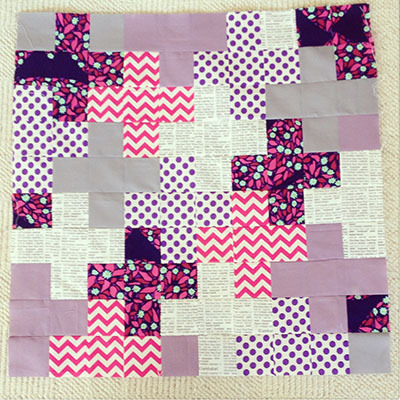 I loved using the newsprint in this project, it’s such a fave of mine and I was glad I had enough left over from this quilt. 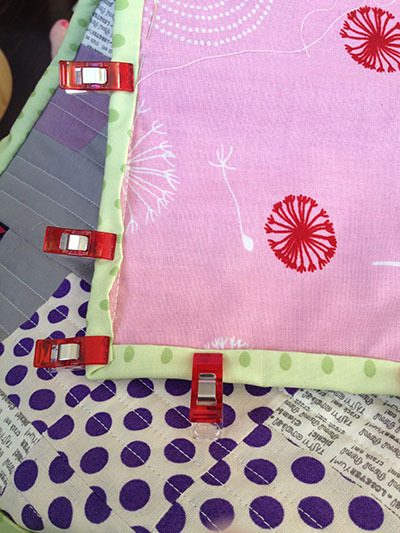 Next I decided on my backing and started on some straight line horizontal quilting. The backing was a lovely Saffron Craig Dandelion print. I was very excited that I had received my Wonderclips as well, so this was the first opportunity to use them when adding my binding. I love the lime green binding. I chose that colour as it picked up the lime green in the dark purple print I used in the pillow top. It helped that my swap partner also liked green…not sure she was expecting lime green though! Unfortunately I didn’t have a pillow insert to take a final picture, but here is the finished product. I really enjoyed this pattern and I think I need to make a few more…this time to keep in our house! 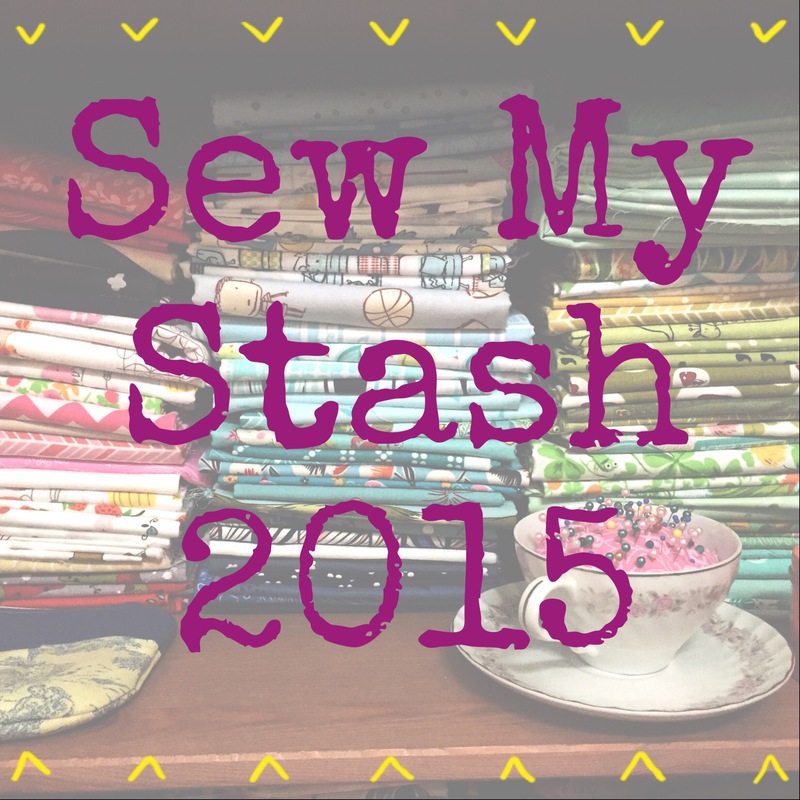 Day 15: An update on a sewing project. I must say I have been feeling so supported and loved after yesterday’s post, and just a little bit lighter from shedding some baggage…so thank you to those who took the time to read, like and/or comment on my post. It’s very much appreciated. Today is a little bit lighter, and back to the creative stuff I love. I had sewing class today, so the focus is on the little dress I’m making in preparation for spring/summer (which I am sooooo looking forward to). Some of you may remember I posted about the lovely Liberty fabric I bought for this dress….if not, you can read about it here. It was the first post of my post-a-day challenge for August (and just as an aside, it’s made such a difference to have this mini-challenge going…I’m really enjoying the writing!). 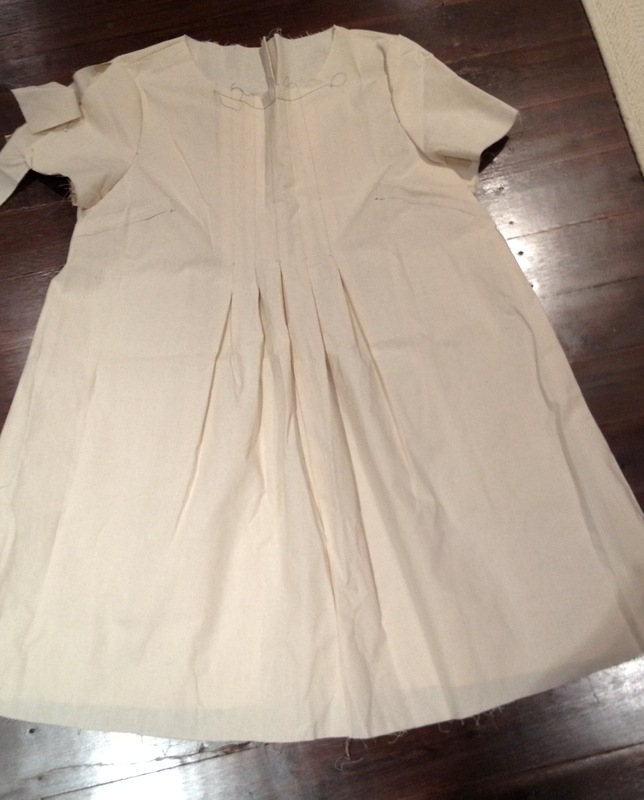 As the pattern I am using was drafted from a Japanese pattern book, I decided to make the dress up in calico first to see how the fit was. 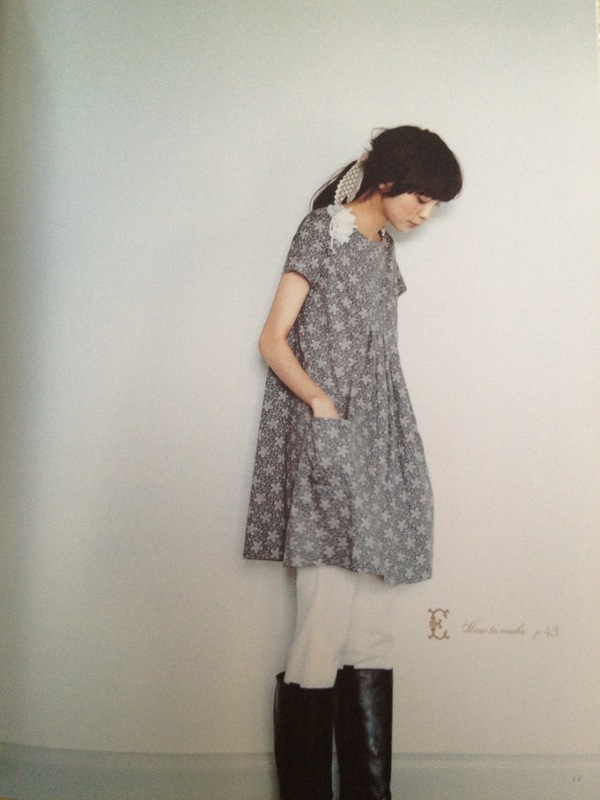 As mentioned previously, I do not have the same physique as a typical Japanese woman. (I also apologise for the quality of the photos..these were just taken with my iPhone. I also wish I had a dress form on which to place my creations…but alas, not at this time). Here you can see more closely the adjustments to the sleeve and the new markings for the darts. When I started this blog I had every intention of posting on a regular basis, but for some reason (life getting in the way) that hasn’t happened. So I have set myself a challenge for the month of August to write at least 1 blog post per day during the month. The posts will be about something significant that happened to me, or that I did, during that day. So, on to today’s post…. It being Wednesday meant that I had sewing class to go to this morning. I love these classes, held each week during school term. Kerrie, our sewing teacher, was made for teaching. She is so patient, always cheerful, always happy to offer advice or assistance, and so very talented. I started coming to Kerrie’s general sewing class to ‘get back on the horse’ after 15 years or more of not touching my Janome, and I haven’t looked back. At the moment I have 2 or 3 garments on the go, mostly as I keep choosing challenging patterns to make, but also because I am losing weight at the moment and I keep having to resize the garments! So we decided last week that in order for me to not feel despondent about not finishing anything recently, that I need to pick something quick and easy to make that I can wear now and in the future. The floral print will be used for the main dress, but I am going to use the ‘matchstick’ print to add a border hem, and some bias binding or even reverse the facings on the neckline. 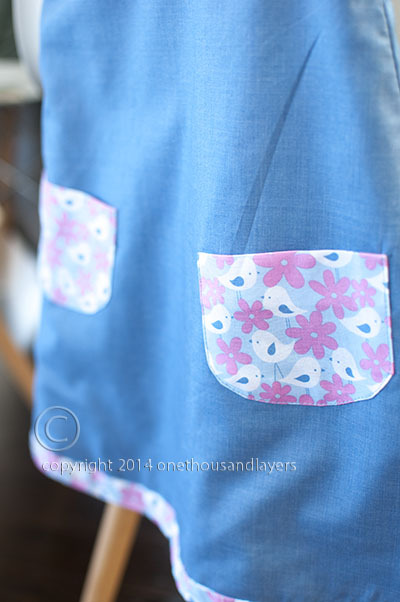 I will possibly include some of it in the pocket detail as well. What do you think? 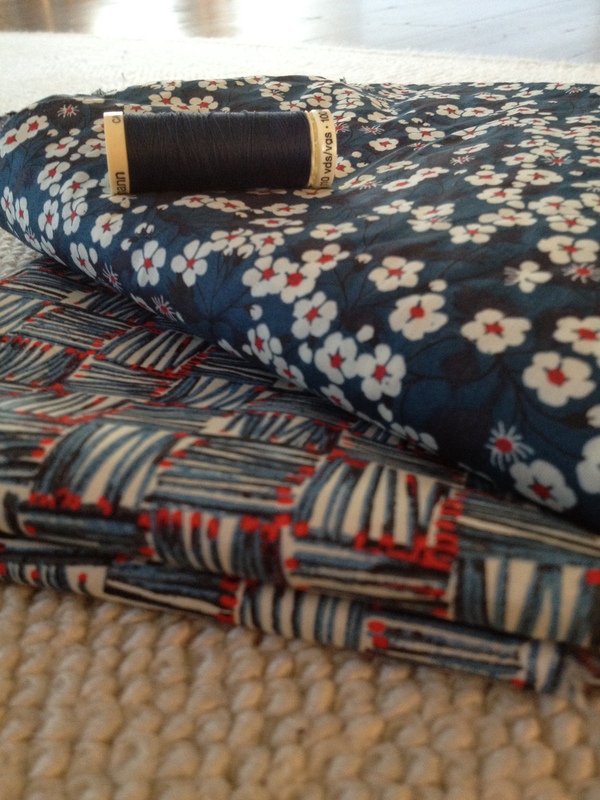 I love these 2 fabrics! 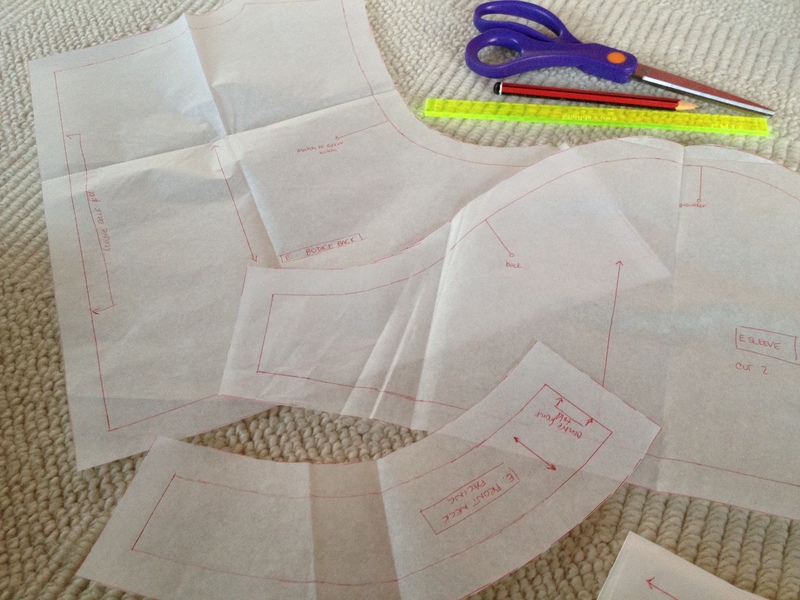 So this morning’s class was spent drafting up the pattern …something I had never done until this year. 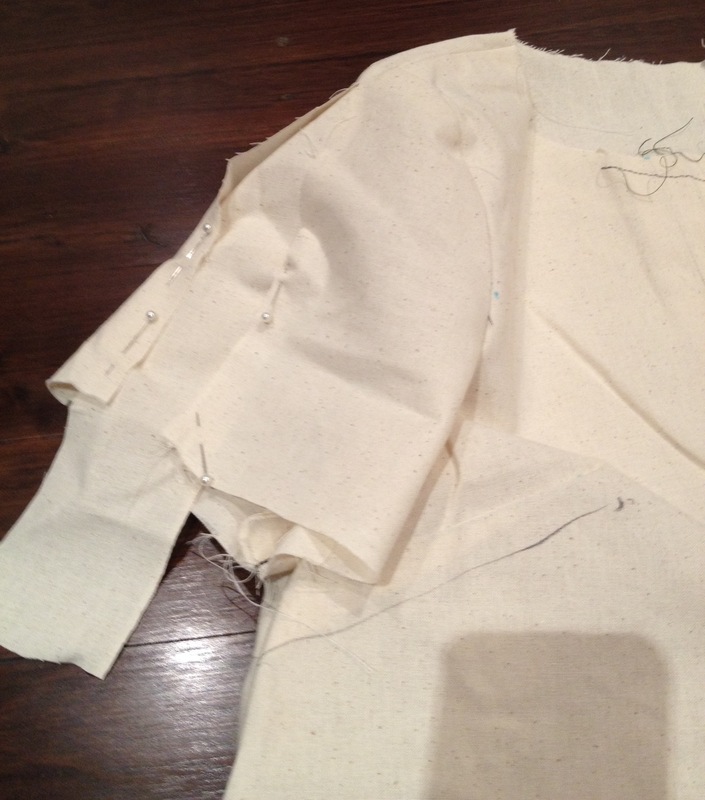 My homework is to make it in calico to check the fit…and then next week we can get stuck in! So excited by this one 🙂 I have 70cm of the matchstick fabric and 2.4m of the navy floral fabric. 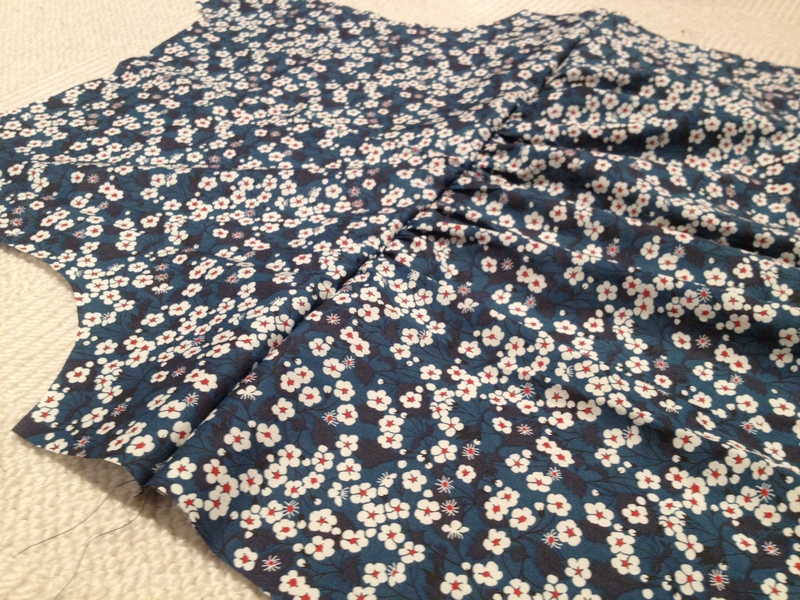 If anyone has any other suggestions for mixing the two fabrics in this pattern I would love to hear them.